Russia’s largest oil company ‘Rosneft’ is set to sell almost half of its major deposits to Indian investors after a series of unsuccessful negotiations with Chinese buyers. The state-owned ‘Rosneft,’ Russia's largest oil company, has decided to sell nearly half of the largest oil deposit in Eastern Siberia to Indian investors. The company has ceded 49.9% of "Vankorneft" shares to a consortium of Indian public sector oil majors. Of these, the Oil and Natural Gas Commission (ONGC) will get 26% of the shares, while 23.9% will go to Oil India Limited (OIL), Indian Oil Corporation (IOC) and Bharat Petroleum (BPL). ‘Vankorneft’ owns a deposit with 500 million tons of oil and condensate reserves and 182 billion cubic meters of gas, reports the Rosneft press service. All the necessary documents for the sale of deposits will be signed "in the shortest time possible,” the company press release said. Earlier, Chinese players were considered as potential investors. "India is a partner which is easier to negotiate with, and one which is more interested in purely business cooperation, as opposed to China," explained Ilya Balakirev, IK "Premier" analyst. He said Indian companies are not as aggressive in trading and do not try to get the most favourable price no matter what. Also, against the backdrop of a slowdown in China, the Indian market continues to gain momentum and is becoming more attractive. In 2015 India's GDP grew by 7.4%, while China's economy grew by 6.9%. According to India's “Economic Times” newspaper, the transaction will be worth approximately $ 3 billion. If the deal goes through, it will be the largest one in the oil and gas sector in recent years, said Russian newspaper "Vedomosti." According to the newspaper, the Indians will be able to help in attracting external funding for the deposit. ‘Rosneft’ plans to start oil supplies to India in 2016, under a contract for 10 million tons per year with the local company Essar Oil Limited, as well as to buy a share of 49% in Essar, an Indian refinery with a capacity of 20 million tons and 2 thousand fill ups. 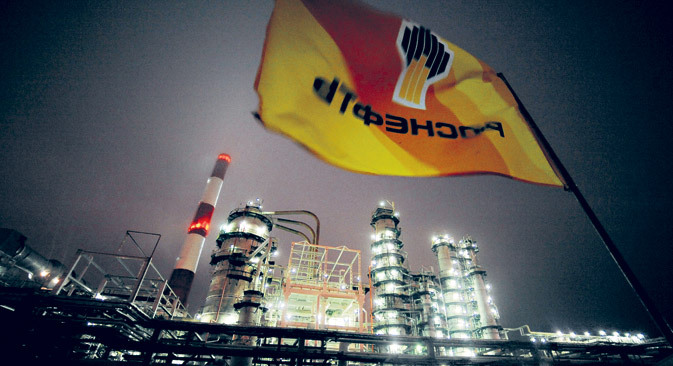 ‘Rosneft’ primarily requires funds for further exploration and development of reserves. "Because of the fall in prices for energy resources, oil companies are short of funding in geological exploration and in launching of new deposits", said Alexey Kalachev, analyst at GK Finam. Taking into account advance payments for oil contracts, ‘Rosneft’ debt to EBITDA ratio is now 3.4. The company earlier tried to sell its stake in Vankor to the Chinese company CNPC. In November 2014, Rosneft and CNPC signed an agreement for the sale of 10% of the deposit in the presence of Russian President Vladimir Putin and Chinese President Xi Jinping, but the deal never went through. "The Chinese party failed to offer an affordable price for this asset," said Alexander Grichenkov, analyst at MFX Broker. According to Kalachev, Indian investors turned out to be more preferable as the Chinese, on whom high expectations were previously placed, proved to be difficult and intractable as partners. However, some analysts do not see this as a long-term trend. "I would not treat the event as a reorientation of Russia's cooperation with China toward cooperation with India," Grichenkov cautioned. Rosneft has decided not to bank on one partner and build partnerships with several different players to choose from several options. India is ideal in this case, it is very promising for Russian oil exports, adds Grichenkov.